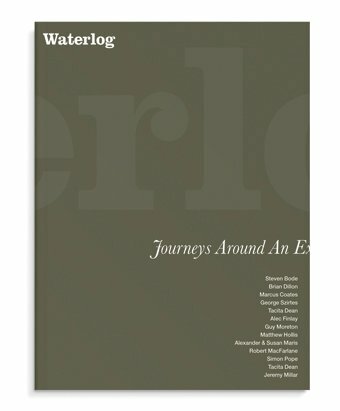 Waterlog: Journeys Around an Exhibition contains essays, artwork, and poetry inspired by W.G. Sebald’s The Rings of Saturn. Some of the poems originated in the Waterlog exhibition, components of larger artworks, while several poems appear only in this accompanying monograph. Marcus Coates is a performance artist whose work often deals with the animal world. His piece in Waterlog includes a poem of eleven stanzas called Britain’s Bitterns Circa 1997 Population 11 Breeding Males. Hollis had his original poem translated into a Norfolk dialect before turning it into a song (both versions are included in the book.). 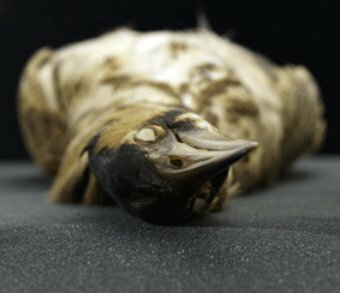 As Brian Dillon’s introductory essay Airlocked indicates, visitors to the exhibition heard a recording of Coates singing “a song that seemed to have been carried on the air from the past, with a warning for the future.” A vitrine in the exhibition hall displayed eleven bittern specimens from the natural history collection of Norwich Castle Museum & Art Gallery. 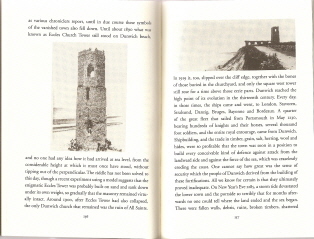 One cannot say how great was the sense of security which the people of Dunwich derived from the building of [their] fortifications. All we know for certain is that they ultimately proved inadequate. On New Years Eve 1285, a storm tide devastated the lower town and the portside so terribly that for months afterward no one could tell where the land ended and the sea began. 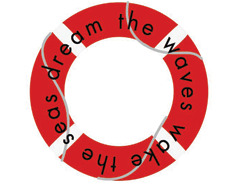 sink it deep, before the sea covers the land. of the North Sea, impossible to comprehend. that flatten to a simple parallel. Like all of Szirtes’ poetry, Backwaters is densely imagistic and rich with themes that weave in and out. It’s a complex, multi-voiced piece that I have enjoyed re-reading many times. that cannot begin to be held.